The video for Dizzee's new single Goin' Crazy has a Quadrophenia theme, but stars a flash troupe of mobility scooters instead, says The Sun. It also stars lookalikes of Roy Orbison, Grace Jones, Elvis Presley and John Lennon. 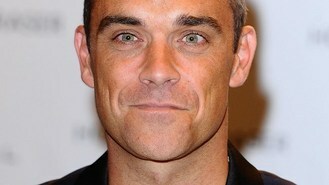 Candy singer Robbie told The Sun: "I was expecting Dizzee to come round to my place in LA for an hour. He got round at 6pm, we chatted for hours and he left at 6am. Then he said he wanted the song to sound like Queen. It was a great night. "I have never been so urban. When I heard Dizzee wanted me, I was like, 'F*** yes!' He only deals in bangers and life is getting shorter for me. "The song instantly sounded like a smash. I love his vibe, his energy and he is a real talent. He seems to be the voice of this generation, so it was a no-brainer." Dizzee, who has just toured Australia and Poland, said: "As soon as I heard Quadrophenia, I was signed up for the video idea. The mods and rockers idea is right up my street." Ten years on from his first album, Boy In Da Corner, Dizzee says his new songs have been getting a better reception than Bonkers did when he first played it, and that new album The Fifth has "hits to spare". Robbie, 39, was bumped from Radio 1 playlists last year for not being relevant enough to the 15 - 29 year old target audience.